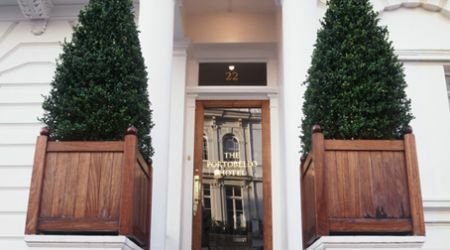 Since our regular accommodations were fully booked we checked into the Portobello Hotel in West London. 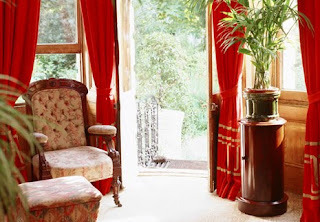 Staying at the Portobello is like being welcomed into an eccentric relative's Notting Hill row home. The staff are friendly, the decor is warm and feels lived in. Many of the rooms have freestanding claw-foot tubs and unique period details. 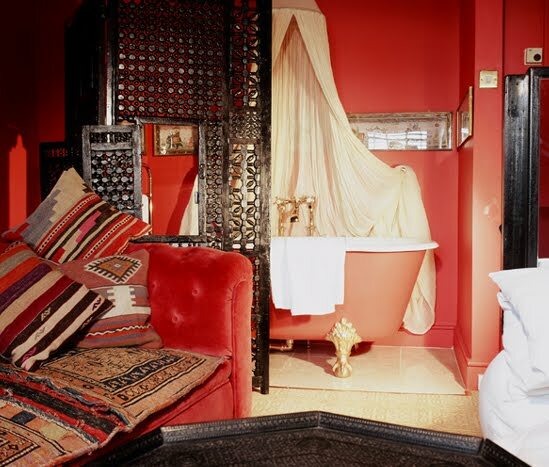 We loved room 22 overlooking the garden with it's four poster bed, impressive marble Cleo bath suite and Molton Brown toiletries. 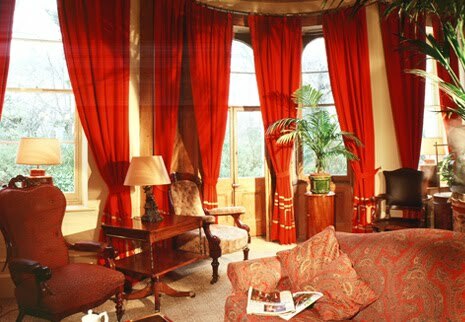 The Moroccan room is also charming, if a bit small.